Makeovers inspire us in a lot of ways. 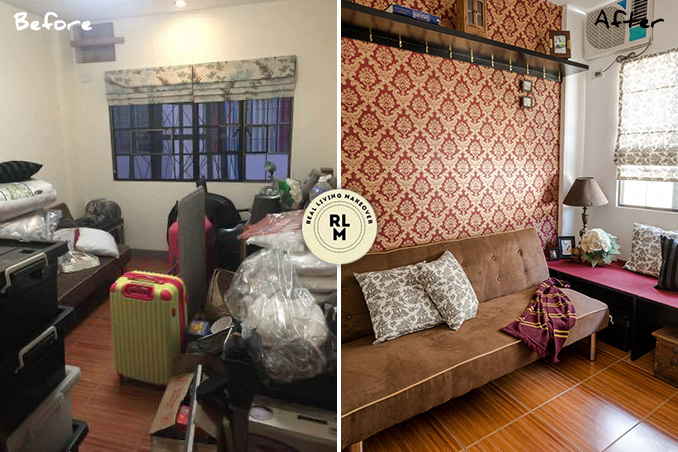 Aside from giving us tons of ideas for the home, these transformations also prove that even the tiniest of rooms has a lot of potential—all you have to do is be creative and study how you can add storage spots and make it seem brighter. This spare room has become a bodega over time. The owners have always wanted to renovate it into a home office or guest room, but they never had the chance to work on it. With the help of interior designer Kat Villanueva, it's now a welcoming den, home office, and guest room in one—a special place where the owners can spend quality time doing the things they love.